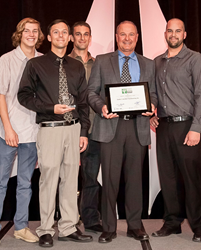 Quality Controlled Manufacturing Inc. (QCMI) is pleased to announce it received the 2014 Family-Owned Business of the Year Award in the 51-150 employee category from the San Diego Business Journal. Grande Family on Stage. Left to right: Garet Robison, Bill Grande, Jeff Grande, Bob Grande and Tom Grande. 'We have not only survived, but also thrived. It’s a distinct honor and achievement for the entire QCMI family to receive the San Diego Business Journal’s Family-Owned Business of the Year award,' said Founder Bob Grande. Quality Controlled Manufacturing Inc. (QCMI) is pleased to announce it received the 2014 Family-Owned Business of the Year Award in the 51-150 employee category from the San Diego Business Journal. The awards ceremony was held April 3 at the Paradise Point Resort & Spa in San Diego. QCMI was recognized as one of San Diego’s outstanding family-owned companies, based on its longevity, sustained growth, and community involvement in the San Diego region. Founder, CEO and President, Bob Grande’s four sons are actively involved in QCMI’s day-to-day operations — Doug Grande, Business Development; Jeff Grande, Quality Manager; Bill Grande, 2nd Shift Supervisor; and Tom Grande, CNC Machinist Supervisor. QCMI specializes in the precision machining of all metals including exotic alloys. The company produces components with complex shapes, contours, exacting tolerances, and stringent quality requirements for the aerospace, power generation, Department of Defense (DOD), oil and gas, marine, and heavy equipment industries. According to San Diego Business Journal President and Publisher, Armon Mills, the heritage and legacy of the city of San Diego is at the heart of the Family-Owned Business Awards recognition program. The 70 families and their organizations honored at the event have transformed the city’s business landscape while dedicating generations to the cultural enrichment of the region. The following family and QCMI team members with their guests were in attendance to help celebrate the Grande family winning this prestigious award. Bob Grande with Sheri Grande, COO / CFO Rick Urban with Serena Urban, HR/Corporate Communications Becky Quinn, PHR, Jeff Grande with Courtney Grande, Bill Grande with Kelly Grande, Tom Grande with Haley Howe Grande, and Garet Robison with Alondra Krouse. Grande’s love for machines began in high school shop class. At 15, he got his first job sweeping floors for a local manufacturer. He moved his way up in the company to machinist before being drafted during Vietnam. Once back, he took advantage of the G.I. Bill to take classes. 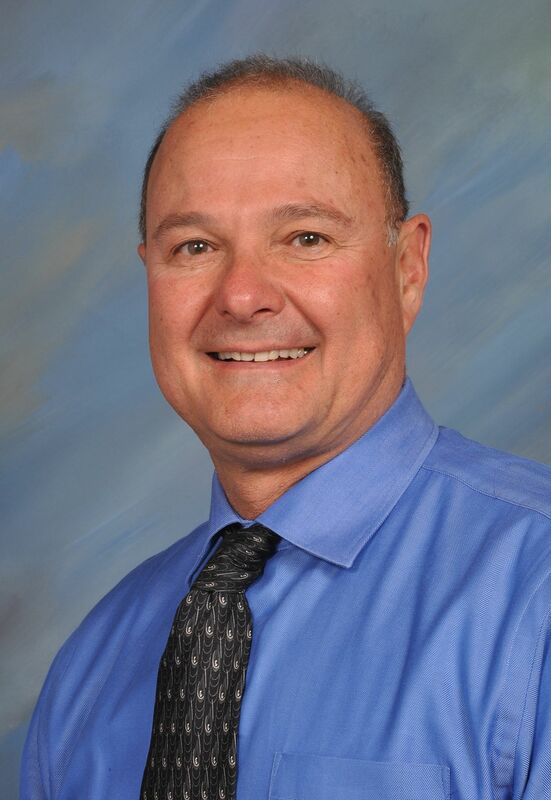 In 1978, Grande founded QCMI in his Santee garage with one employee. In 1983, Grande purchased QCMI’s first CNC machine. That first CNC paved the way for the 50 or more the manufacturer has today. More than 35 years later, QCMI’s financial foundation is solid allowing it to make capital investments as needed. In addition, Grande established a 501(c)3 nonprofit organization called the Grande Foundation to provide an onsite academy to train youth, adult job seekers, and veterans in the machinist trade. For more information about QCMI, call (619) 443-3997 or visit http://www.qcmfginc.com. Founded in 1978, QCMI specializes in the precision machining of all metals including exotic alloys. QCMI is ISO9001/AS9100 certified, ITAR registered and Nadcap accredited for nondestructive testing. It manufactures components for the aerospace, power generation, Department of Defense (DOD), oil and gas, marine, and heavy equipment industries. QCMI is authorized to operate an approved FAA repair station with the following ratings: Limited Accessory and Nondestructive Testing. In 2013, QCMI received its fifth consecutive UTC Supplier Gold Award and Inc. magazine recognized QCMI as one of its Inc. 5000 companies. The San Diego Business Journal ranked QCMI on its top manufacturing companies list and as one of San Diego’s healthiest companies. For more information about QCMI, call (619) 443-3997 or visit http://www.qcmfginc.com. 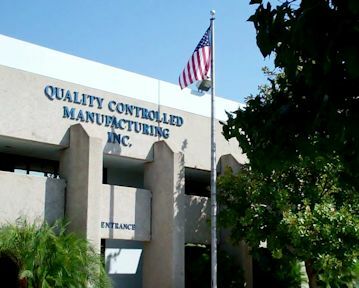 Quality Controlled Manufacturing Inc. LogoDefining the Future In Manufacturing QCMI Founder, CEO and President Bob Grande QCMI has grown to include a 65,000 square foot manufacturing facility in Santee, California -- with nearly a million hours of machining capacity. Using stringent criteria, the UTC Supplier Gold program acknowledged QCMI for its exceptional performance over five consecutive years.